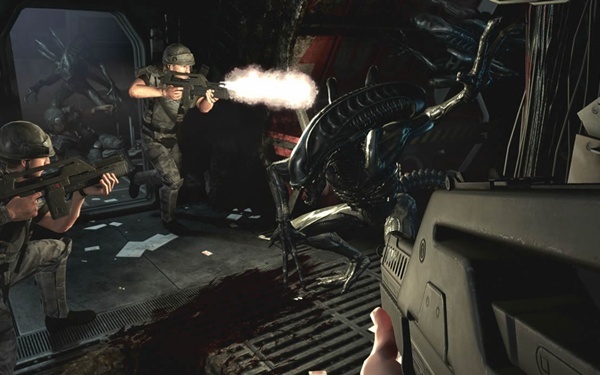 The fate of the four player co-op game, Aliens: Colonial Marines, hinges on the success of another game that just so happens to have a co-op mode; Aliens versus Predator. So while the Gearbox developed Colonial Marines, a title with a promised four player cooperative campaign was announced first, it's the latter game with the add-on survival mode that will decide when, and possibly if, Colonial Marines ships. "I think the detail of that [release date] is probably still too early," Sega President Mike Hayes told G4TV. "What I would say is it's unlikely that we'd launch anything within six months [after Aliens vs. Predator], but probably nine months, eight to 12 months possibly. Though we literally are looking at that at the moment and a lot of is going to depend, as well, on how successful AvP is at the box [retail]." According to Sega they've received more feedback from the community on AvP than any other upcoming title. I guess people finally gave up on a good Sonic game.